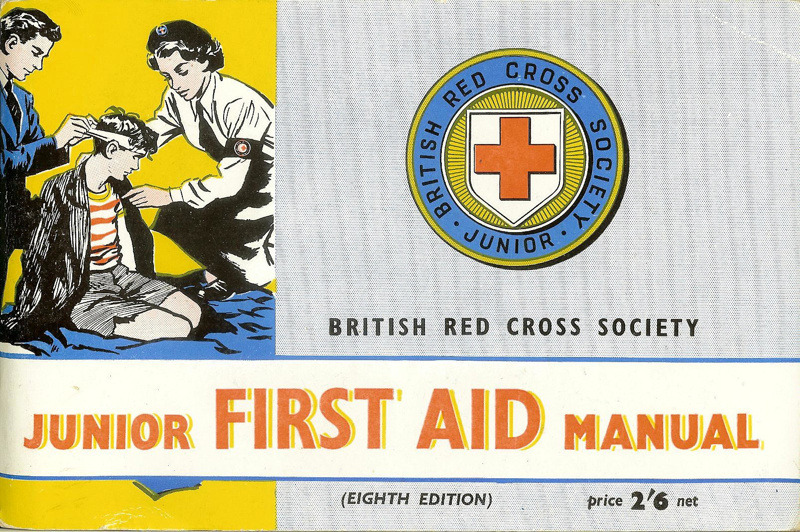 The Junior First Aid Manual was published by the British Red Cross Society. It is the eight edition published in 1958. It contains 64 pages, an index and comprehensive diagrams.